Frills and faux fur? Oh, yes. 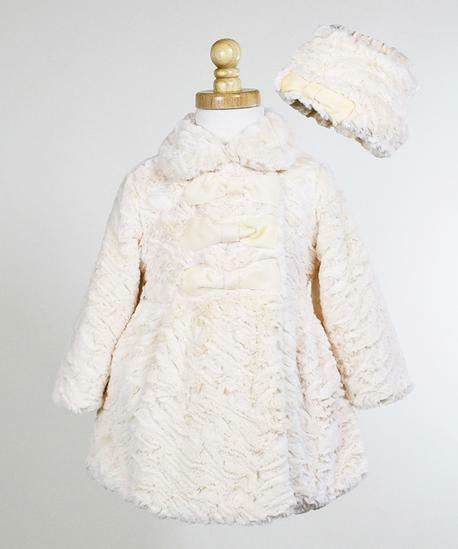 Your fancy girl will be in all her glory in this three bow plush coat with peter pan collar and hidden zipper. Coat comes with matching hat! 100% Polyester. Machine Washable.